Feedback is necessary for a variety of reasons. Not only does it allow you to gauge how you’re perceived by your customers, but it also helps new customers find you. You may have heard that people are more inclined to complain about a negative experience than share a positive one, and that’s absolutely true. If you want to encourage people to share their positive experience, automation with a little positive incentive will go a long way. You need to get your customers’ email addresses if you want to maintain continued contact. They may not feel inclined to sign up for your email list if they think it has the potential to be spam. It helps to include exclusive offers, such as discounts, gifts, or free products for joining an email loyalty program. Let them opt in to receive emails from you, which keeps the communication door propped open for whatever you’ll need it for in the future, including feedback requests. Getting people to sign up for your email list is meaningless if you can’t keep them subscribed. Sending tons of offers all the time will have mixed results – people are only going to buy from you so often, and this can make the offers lose meaning after a while. You need to include interesting, compelling content. Make sure your emails are well written, and people will have a reason to read them even if they don’t plan on making a purchase from you in the immediate future. Many businesses already use this technique. If you’ve ever made a purchase through Amazon, you know that a few days after you’ve received the item, you get an automated email asking you to share your experience. Using phrases like “share your experience” highlights that you care – you’re seeking someone’s opinion instead of milling their feedback. Sending an email phrased that way several days after the purchase will make people feel more inclined to speak about your business. An average experience doesn’t warrant a speech full of praise. How much feedback you get depends on what you’re offering your customers. Being able to exceed their expectations is what will ultimately result in a memorable experience that keeps your customers coming back, and that genuine sense of loyalty will lead to a higher volume of feedback that you can be proud of. Show that you listen to feedback and adjust things accordingly. Understand the needs of your customers and strive to go the distance for them. Be transparent about your quest to become the best you can be, and customers will be happy to help you. Customers will be more inclined to do something for you if you do something for them in return. 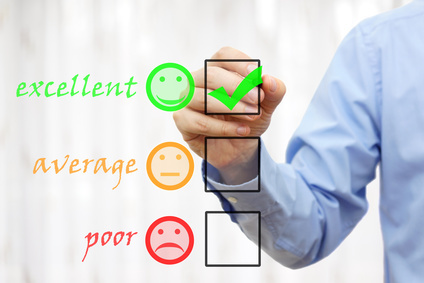 Outright buying feedback is never a good idea, but starting an appreciation and reward scheme may do the trick. Raffling off a small product, service, or gift card every month to a certain number of reviewers will seem exciting. It’s little work for the chance of winning something, and everyone likes to feel like a winner. There’s no way to forcefully squeeze useful feedback out of customers. The best you can do is let them know how much you value your feedback, throw in some perks, and stay in touch. As you build more loyal customers, you’ll find that feedback becomes more reliable and consistent. Marleen Anderson is part of the team behind Saxons, Australia-based company providing IT support services and IT training. She is a great technology addict with huge interest in entrepreneurship. This entry was posted in Articles and tagged customer feedback. Bookmark the permalink.